How Much of League of Angels II’s Lore Do You Know? League of Angels Ⅱ, the epic free to play MMORPG games from GTArcade, has created a massive fantasy world for players to discover. Populated by cast of colorful and detailed characters, each with a deep intertwined past, players will quickly grow attached to world of this browser RPG game. And with a constant flow of new in-game features and events, players are given surprises at every turn. When you are fighting in the Elite Dungeon, have you noticed various mysterious items dropping? These items are actually part of the long term event called “Tales Drop”! They help tell the legend of Sapphire and slowly unravel the story of LoA2. Let’s explore the newest Tales Drop event item, along with some from the past! Before the foundation of the Angel Empire, when the Angels came to Sapphire through a dimensional portal, the Angel Aurora was separated from her kin and fell into the Snow Country. She remained in a deep slumber after her descent, but the brilliant aurora that emanated from her body extended to the skies above Snow Country and became the famous Northern Lights. When she finally awoke, Aurora sang an angelic melody for three days. Her melody spread throughout the entirety of Snow Country. 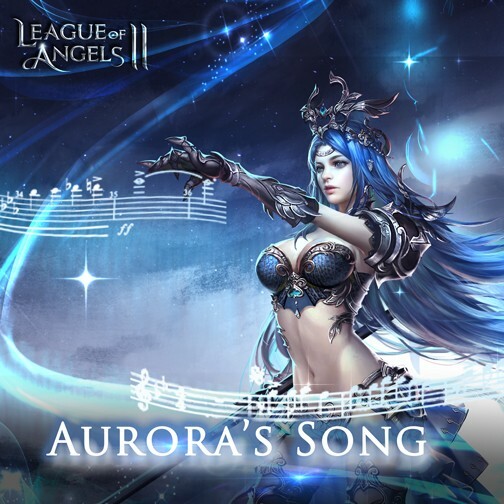 From July 30th to July 31st, challenge Elite Dungeons to get Aurora's Melody and exchange them for great rewards! The World Tree is the largest and oldest tree on Sapphire with branches that reach into the skies and roots that dig deep into the world’s core. 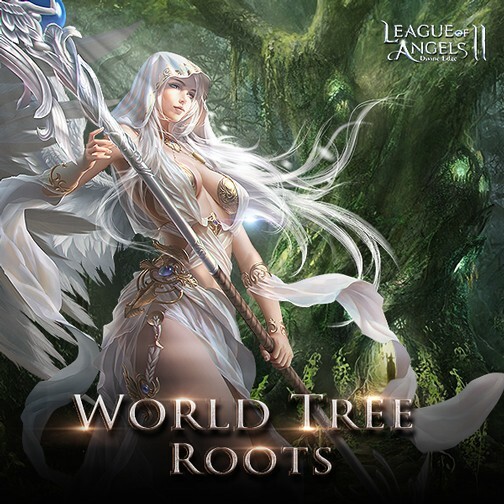 The roots of the World Tree are what binds the Abyssal Leaders in their sealed state. The roots continuously siphon their powers, keeping them under control and turning their power into purified lifeforce. The World Tree became the source of magic for the Angels. Now, the roots of the World Tree is watched over by Athena, the Angel of Protection. Pandora is a unique Angel that specializes in the taboo, namely research of Blood and Black Magic. Not many know what kind of dark secrets are hidden underneath her sweet and beautiful features. Pandora’s infamous Box has been showing up recently, do you have the courage to unleash what is hidden inside? By tying event items with the rich lore of LoA2, players can slowly uncover the past of this mysterious land during their quest for glory and loot. The future of Sapphire, however, is up to you to decide! Play LoA2 now and build your legacy!